Take internally in a veggie capsule 3 drops and take every 5 hours. You can also dilute the veggie cap with fractionated coconut oil. Best to do this remedy for 7 days on 7 days off. Oral Use As Dietary Supplement: Oregano oil is generally recognized as safe (GRAS) for human consumption by the FDA (21CFR182.20). Dilute one drop oil in 1 tsp. honey or in 4 oz. of beverage (i.e. soy/rice milk). Not for children under 6 years old; use with caution and in greater dilution for children 6 years old and over. Dilute 1:3 (1 drop essential oil to at least 3 drops carrier oil) when used topically. Dilute more heavily for children over 6 or for those with sensitive skin. Apply directly on area of concern or to reflex points. *I would not recommend using this on broken, oozing, fragile skin. Taking it internally to combat bacterial/ooze issues is just enough. Antibacterial – Oregano oil is a great natural cold remedy and can help to prevent the flu. This oil acts very quickly at killing off bad bacteria, in fact there was a groundbreaking study that demonstrated that oil of oregano kills off E.Coli, one of those bad forms of bacteria that can cause food poisoning and cause you to get sick. The predominant healing compound, carvacrol, is arguably the most important component explaining why oil of oregano is so potent and effective at killing off bacteria, fungus, parasites and viruses. Anti-fungal – Oregano oil is effective in treating toenail fungus and candida overgrowth. You can use a carrier oil to dilute the oregano and apply to the toenail. You can take the oil internally in a veggie cap (4 drops, 4x daily) but only for up to 10 days, no longer, as it is still a powerful form of natural medicine. Antioxidant – It’s one of the top 10 antioxidant herbs out there today. You can diffuse it in your home, use it with spring water as a natural mouth wash to combat bad breath and gingivitis. 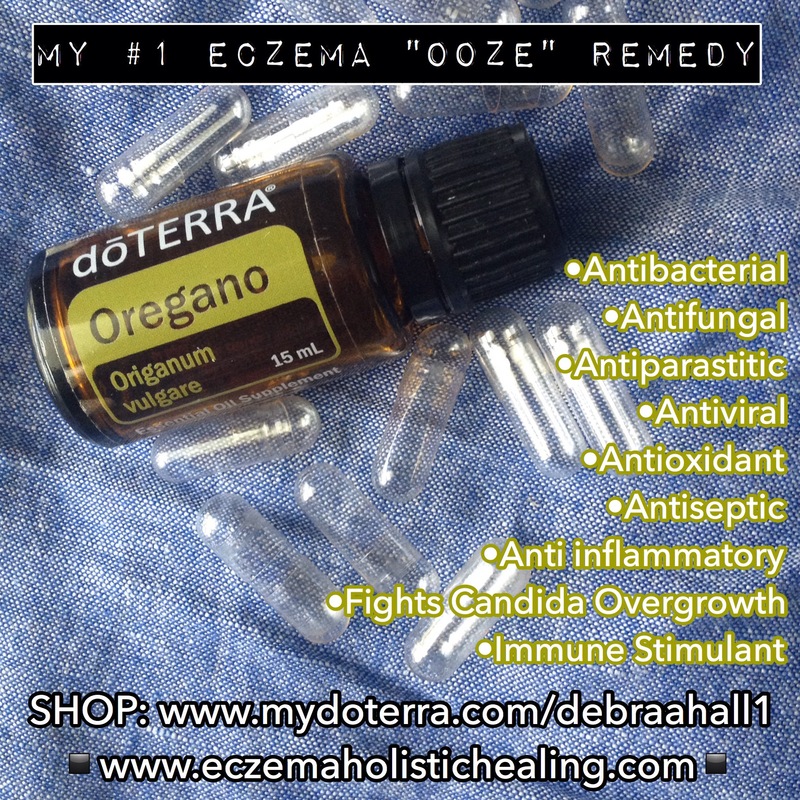 The benefits of oregano oil are proving to be a superior alternative to antibiotics which can give awful side effects. The many side effects are that they can cause antibiotic resistance, destroying good bacteria (probiotics) by altering the balance and pattern of the intestinal flora, reducing vitamin absorption and damaging the digestive lining causing leaky gut. Using antibiotics will result in a severe disturbance of the bowel’s ecology effecting lowering immune function, thus predisposing your body to greater infection, nutritional deficiencies and a wide range of symptoms. The following is a great analogy on how antibiotics works on infection. Think of infection as wet mud. What happens when you take the antibiotics is that it dries up the mud but not get rid of it. So, now you will feel better because the mud is dry but not gone. But anytime your body has the right amount of imbalance and moisture the mud will become wet again and you will be going through the whole infection process again, only the next time, the infection will be worse. Another analogy is that taking antibiotics is like the equivalent of dropping a nuclear bomb on a city instead of sending in a special ops sniper team to take out the few enemy targets. Sometimes drugs are necessary to save lives. But most times when you have chronic degenerative conditions like eczema, it is best to address such conditions with natural healing methods. In general, all drugs are toxic to the body and this is why they work. They create more of a dangerous situation in the body so the initial symptoms go away as the body attempts to take care of the new problems created by the drugs. Healing the body naturally by improving diet and taking whole food supplements will result in complete healing in 100% of the degenerative conditions cases. This is because with diet and supplements you are addressing the causes of your health challenge and you didn’t just mask the symptoms.